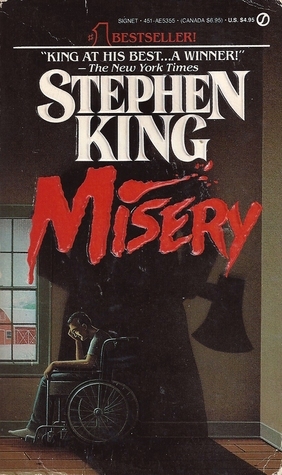 I finished Misery by Stephen King. To my readalong cohorts: thanks for making this the best way to start off summer. 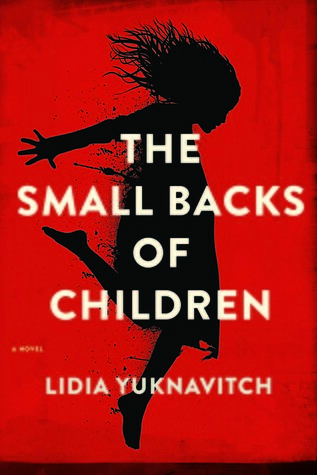 I made it through nearly three-quarters of The Small Backs of Children by Lidia Yuknavitch. Since I made it that far you'd think I'd be able to power through the rest, wouldn't you? Nope. It started out as interesting, turned pompous, and then devolved further into simple depravity. I'm out. 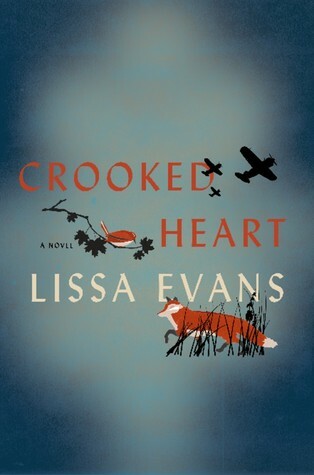 I was 2 pages in and knew I'd be enamored with Crooked Heart by Lissa Evans. Stay tuned for further thoughts! 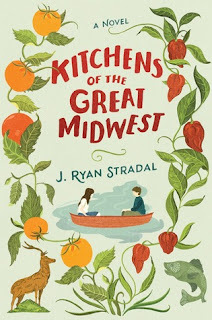 Maybe my mood will lead to Kitchens of the Great Midwest by J. Ryan Stradal. What are you reading on this lovely Monday? I'm sorry Small Backs of Children didn't work for you. And, I'm glad to hear someone else DNF'd a book they were so far into...I DNF'd a book at 67% last week and was kind of beating myself up about it until I read the first chapter of The Truth And Other Lies! And - I'm curious about Kitchens of the Great Midwest! I was sorry too. I had high hopes. There are too many amazing books out there to stick with one that makes you roll your eyes, lol. You know, I might have a copy of The Truth and Other Lies around here...hmmm. I agree with Sarah - it's so awesome to hear that you DNF a book you were so far into! I think we all need to give ourselves permission to do that when it's not working for us. I just did the opposite extreme: I decided to give up on an ARC after 2 pages. I definitely didn't give it a fair chance whatsoever, but it started out with a letter confessing adultery and I just wasn't feeling it. Maybe I'll give it a shot later, but I have way too many excellent books in my queue to read something I'm feeling meh about. I also have Kitchens of the Great Midwest - hoping to start it soon, it looks interesting! I recently DNF'd a book on page 3 for making a fat girl joke. Nope. No thanks. It wasn't easy to do after I'd put so much time into it but I swear, I could not read another stupid page, lol. Kitchens of the Great Midwest looks so pretty! I would definitely pick that one up based on some cover love. Yesterday I finished a comic book (Adventure time with Fiona and Cake), and today I must be back to Secondhand Spirits. At 60% right now. A good week for you. I love, love, love it when a book grabs me right at the beginning; that is so exciting, Jen! I'm finishing up Worthy by Catherine Ryan Hyde; I'm a sucker for books with a loyal pet as one of the characters. Hope you have a great Monday! Hmmm...now I'm rethinking even starting The Small Backs of Children. It was unsolicited, so I guess I can give it a chance. Not a very long one, mind you, but a chance nonetheless. I think you should. I'm really interested to see what others think of it! It can be tough to DNF, I recently read something that fizzled out at 3/4 mark but pushed my way through it and then wished I hadn't bothered. That's exactly where I was. I *almost* finished it just to say I did. I'm glad I didn't, lol. I'm not reading ANYTHING yet you're still tempting me into wanting more books that I probably won't read for years. DID YOU SEE the fox on that cover? OMGwant! Ha ha, my work here is done. ;) I knew that fox would cause some cover lust! I finished "Misery" too! It was a fun readalong :) I'm having a similar to-DNF? crisis right now with "The Shore." It seems like everyone is loving it but it's just been a slow start for me. Oh man, I have The Backs of Small Children waiting here for me. Can you elaborate or is it too bad to really do so? I can elaborate a little bit ;) At first it was just that the language and style were off putting. It was a combo of LOOK HOW BEAUTIFUL my writing is and staggering pretension. As I got further there were weird sexual things that made no sense and seemed to be trying hard to shock for the sake of shock. Just not my jam. At all. Yuck. I think I know what you mean...I've read books where you go back and are like "did that just happen?" Not sure and yet it seems something did...and either way it makes you just done with it. You guys and Stephen King... so brave! I enjoyed the tweets, instagrams, etc. Kitchen of the Great Midwest looks more my speed. Ha ha :D He's creepy but I don't really get scared. Too much anyway, lol. I actually finished a book called The Orange Eats Creeps after quitting several times....and loathed every second that I read it. The premise sounded awesome, the book was praised to the heavens, but...well, if you're on Goodreads, go there and see what people are saying. It's all 1 or 5 stars. Lol, that's exactly what I didn't want to happen to me. I was starting to hate every page more and more. It was just BAD. 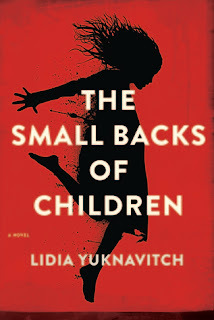 If you want to do Lidia Yuknavitch, read her memoir, The Chronology of Water. It's intense. I read it in a day. I also learned that a lot of her fiction writing is based off of her real life--scary. Misery was fun. Even though I've read it twice before I totally forgot how it ended. I couldn't remember the exact ending either! I'm glad. We were able to be surprised again! Jealous of your DNFing abilities haha. I definitely make myself suffer. The cover for Crooked Heart is so lovely! This week I'm reading Lagoon by Nnedi Okorafor.